30-40 years ago, when you went to order a new car, you had tons of choices. But somewhere along the way, the options got pretty slim, and you were mostly choosing from a small pallet of colors and trims. The Fusion brings some of that customization back. You can pick from three trim levels, five different engines, and even nine wheel styles. It is available in front- or all-wheel-drive. They even offer a manual transmission! This car can be equipped anywhere from a nice rental car to a Lincoln killer, and all variations in between. I recently went to Buford, Ga., near Atlanta to try out a variety of factory-fresh 2013 Ford Fusions firsthand. We drove them through some very twisty country roads, and had a chance to compare them to the current Toyota Camry and Nissan Altima. I also spent a week driving a 2013 Malibu Eco not long ago. So I can tell you with some authority that the new Fusion compares very favorably to the competition. I found a lot of things to like on the 2013 Ford Fusion. I’ve already mentioned the styling, which I’ve considered to be a knockout ever since I was in the audience for the world premiere at the North American International Auto Show in January. It's just hard to believe that this is the bread-and-butter Ford sedan. I think their styling is as good as it gets right now. But it’s more than just a pretty face. The interior is particularly nice, with modern readouts, materials, and accoutrements throughout. But I actually liked a couple of throwback features. On the top-of-the-line Titanium trim level, the pedals have a chrome surround that reminds me of premium cars like Cadillacs and high-end Pontiacs from the 1960s. And the leather seats on the non-Titanium models have a neat horizontal pleat pattern that also harkens back to yesteryear. An innovative noise-cancellation system is also available, which neutralizes undesirable engine and road noise via little speakers in the roof. What does not remind you of days gone by are the four-cylinder powertrain choices and how they perform. 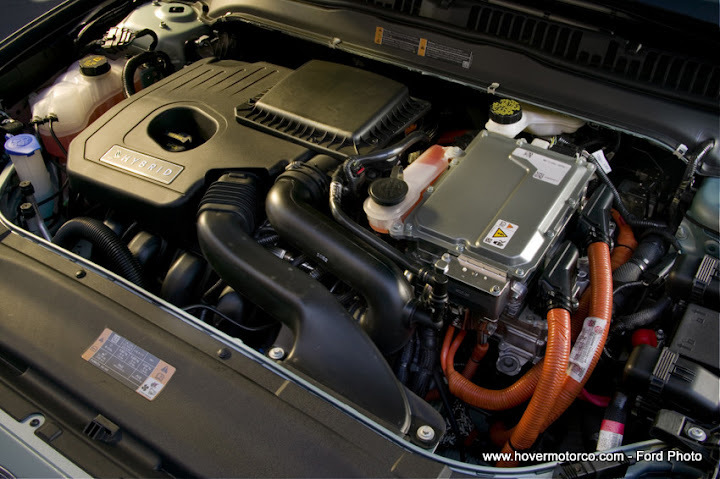 The base engine is a 2.5-liter, 175-hp affair that is good for 34-mpg. For a little more gas mileage, you can move up to the 1.6-liter “Ecoboost” engine, which forces out 178-hp and 37-mpg. For the speed junkie (Pick me! Me! 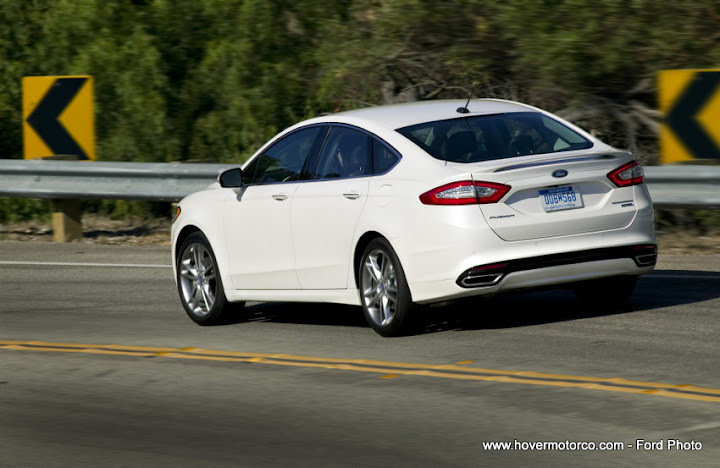 ), the Fusion is offered with a 2.0-liter Ecoboost engine that can only muster a “paltry” 33-mpg, but kicks out 240-hp. Or for the hyper-milers out there, a traditional hybrid is available with a 2.0-liter gas engine/battery combo, good for 141-hp and a class-leading 47-mpg. Finally, there will also be a plug-in hybrid version, which Ford claims will offer more than 100-mpge. What would make this car even better? How about a Fusion Talladega model? I think they should stuff the 365-hp twin-turbo V6 from the Taurus SHO under the hood and build a real muscle car. They’re already racing the Fusion in NASCAR, so it’s a natural tie-in, and one heck of a special edition. I asked some of the Ford engineers about it while I was there, and they said that powertrain would actually fit in this car. And although they all acted pretty excited about the possibility, I wouldn’t hold my breath that this will actually happen anytime soon. It’s fun to think about, though. I’m more interested in the way a car looks, sits, and drives than I am about electronic gadgets and connectivity geegaws. But if you are a technophile, the Fusion delivers. 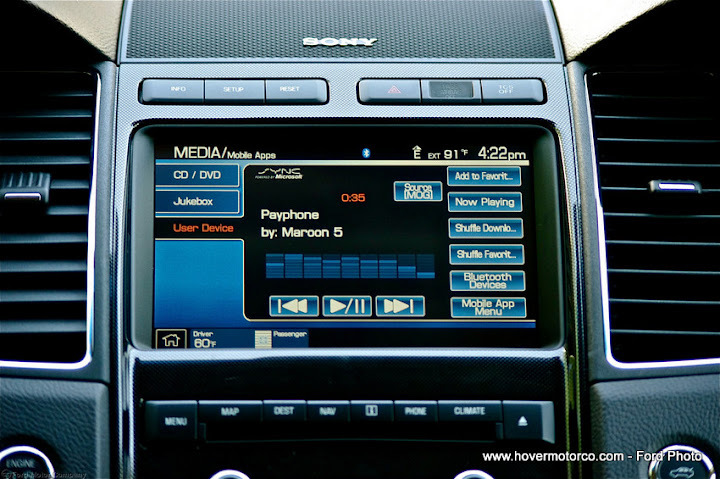 The MyFord Touch runs through an eight inch screen in the middle of the dashboard, and serves as the interface for Ford Sync to help you integrate your phone, mp3 player, and other electronic devices. There is so much that can take place in that screen that I doubt I’d ever be able to learn it all. But if you spent some time getting accustomed to it, I can see how it might make life easier. They also offer things like the Lane Keep Aid, which not only warns you when you drift out of your lane, but will actually take control of the car and ease you back into your own lane if you fail to do anything about it. I tried it out, and it is an amazing bit of technology. 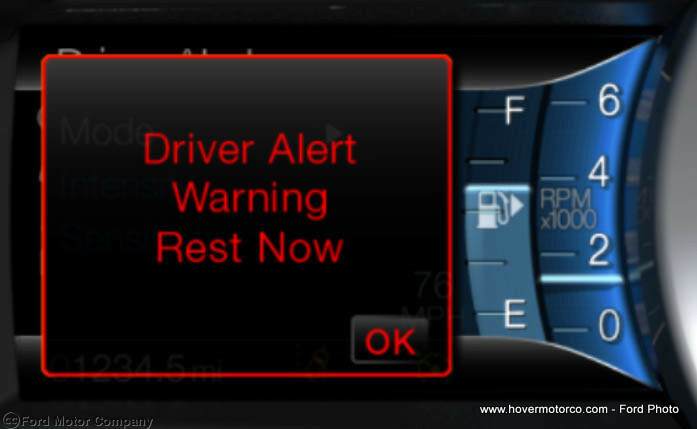 That being said, I think it would be intrusive enough that I would prefer to switch it off when I was behind the wheel. 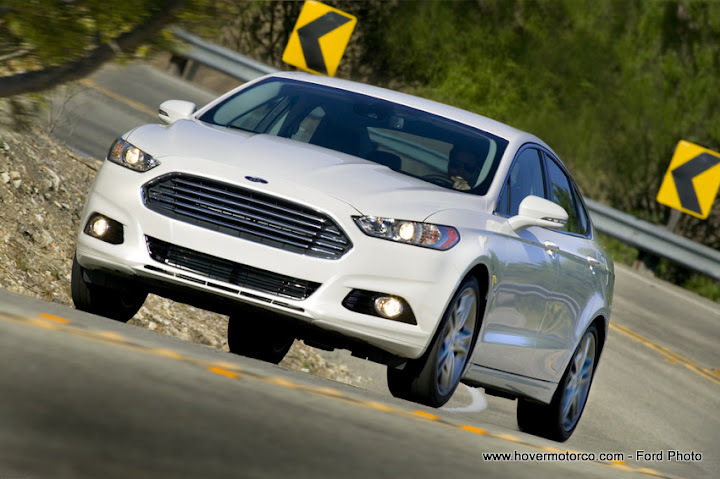 The all-new 2013 Ford Fusion is a good blend of classic style and modern technology. I think it’s the nicest all-new Ford product that they have introduced in years. It’s always hard to break people of their buying habits, but there’s no reason all those Camry and Accord buyers shouldn’t give this car some serious consideration. The slideshow below contains photos from our ride and drive near the beautiful Lake Lanier Islands Resort near Atlanta. 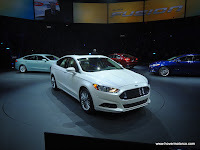 I’m also including a few shots of the Fusion from the North American International Auto Show in Detroit, and the Kansas City International Auto Show, as well as a few beauty shots from Ford. Check ‘em out here and see what you think, or click this link for a nicer version of the slideshow. Love that car. Gotta get one. That car does look very nice. Easily the nicest looking car in this class. The Ford Fusion is one beast of a car. Fantastic to drive. 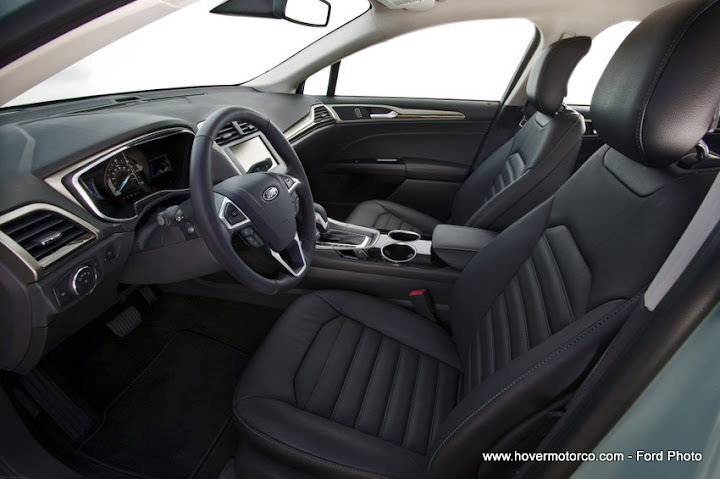 I've been asked what I'd consider as an alternative to it under the SUV class and I immediately thought of the Ford Kuga - elegance and power rolled into one. This is my wife's car to run around town. with 27 miles electric to do her in town work i do not put gas in it. in fact i have not filler the gas tank in over three months, it's still full. lover the car. it has cut in half the time i spend at the pump.